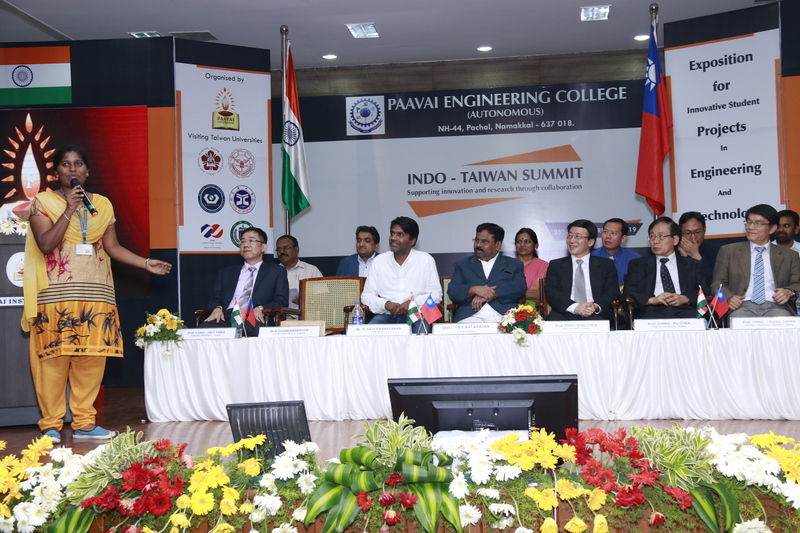 The valedictory ceremony of INDO – TAIWAN summit at Paavai Institutions was held on 26.02.2019. 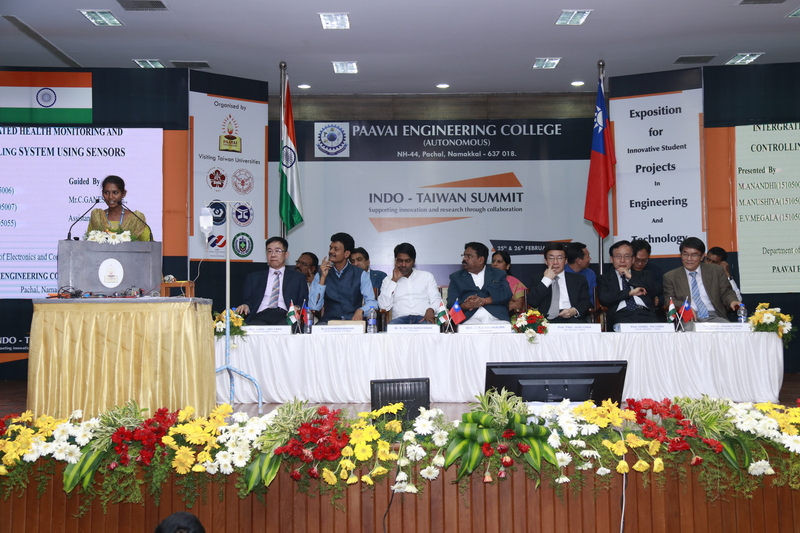 The Chairman of Paavai Institutions, Shri . 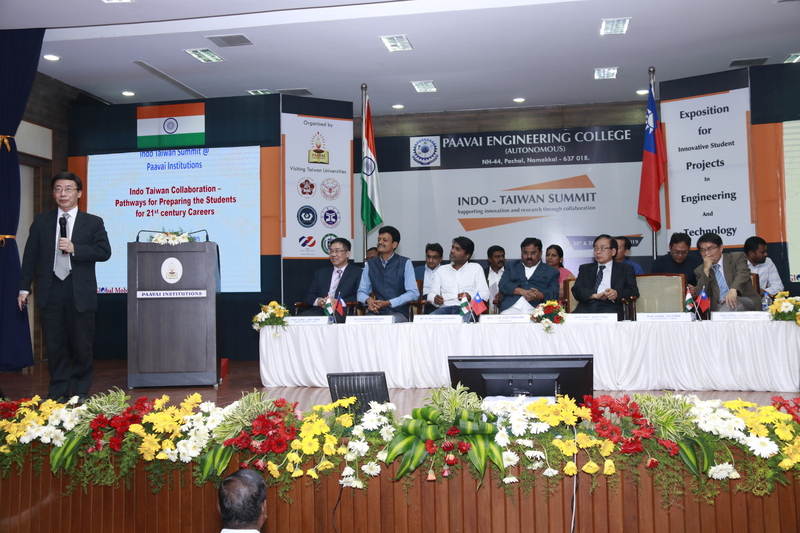 N.V. Natarajan, presided over the function. 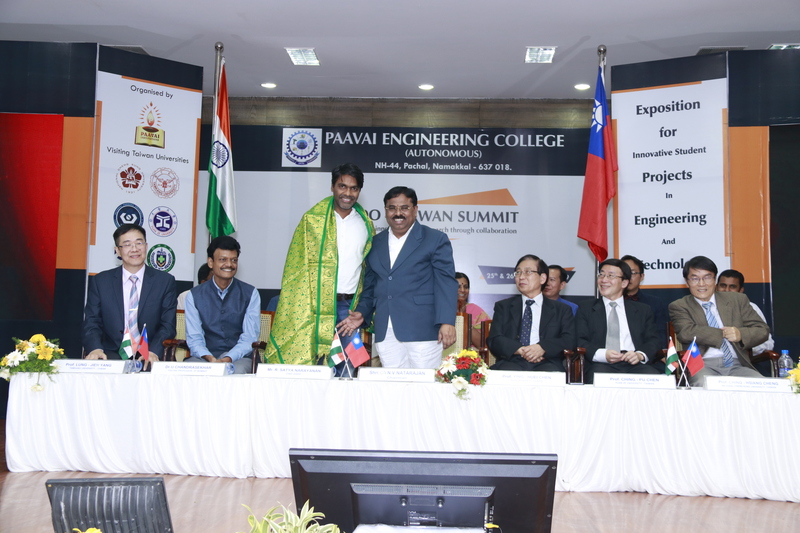 Mr. Sathya Narayanan, Career Launcher and Founder of CL Educate Limited, New Delhi, was the chief guest of the occasion. 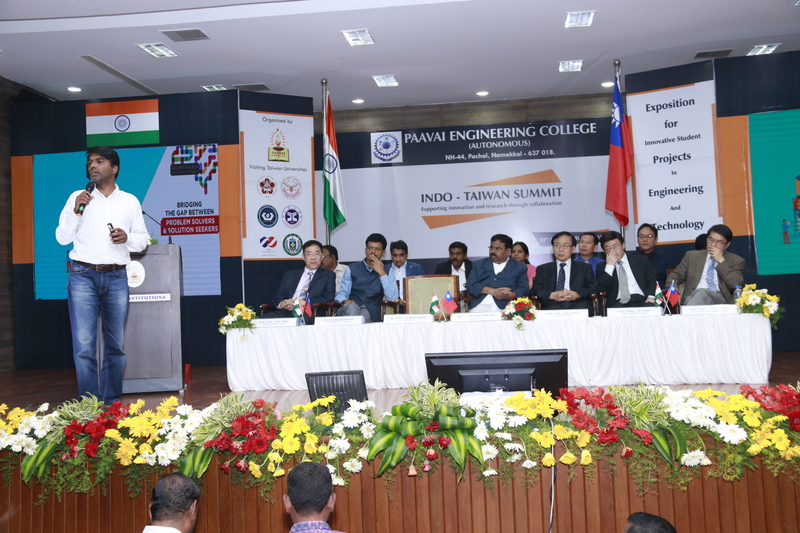 Dr. K.K.Ramaswamy, The Director Administration, Paavai Institutions, welcomed the gathering. Mr. Sathya in his special address, said that, education is the solution between the problems and the people. 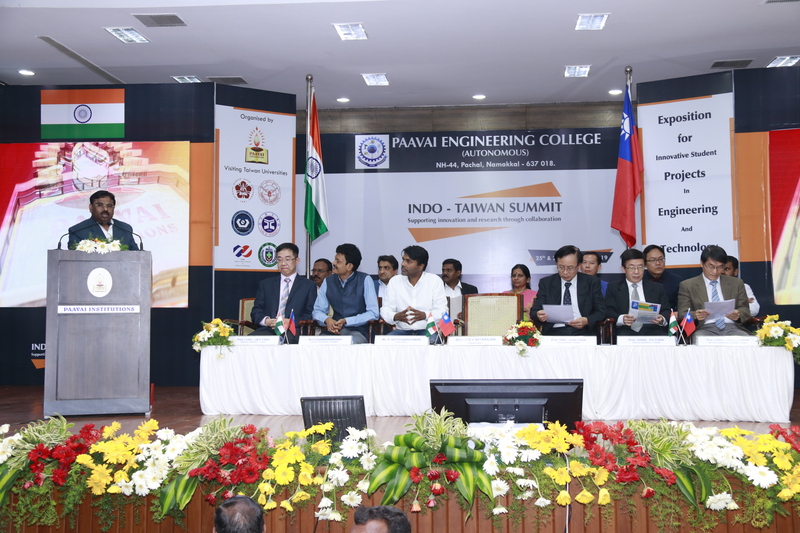 He stated further that students should learn and work in consonance with the expectations of the Industry 4.0. Money or language can never be a constraint to an innovator, who is highly imaginative and resourceful in linking domains and services. International experience is an added advantage to the employment seekers. 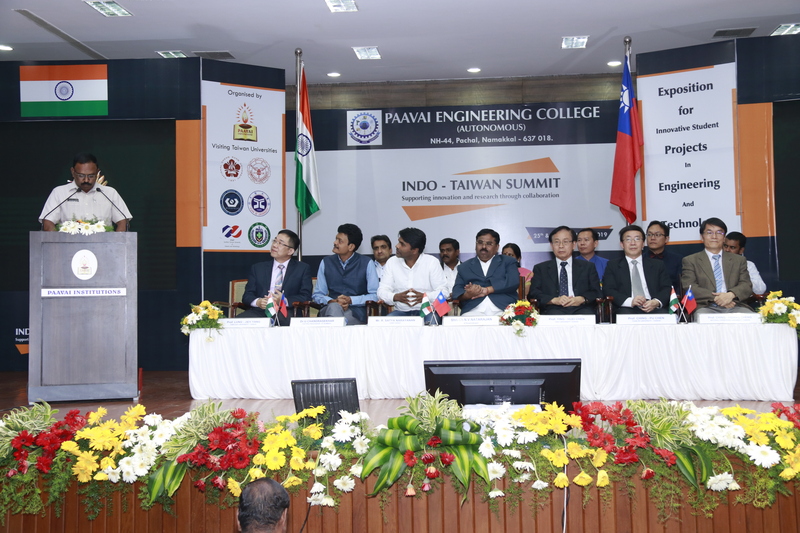 Professor Chen from Yuan Ze University He emphasized on global mobility and talent cultivation for higher education. He said, “Every enterprise that works with a successful solution to the social need in the modern world is made up of individual human motivation. So you, as students, must learn new technologies for your contributions to the future society. 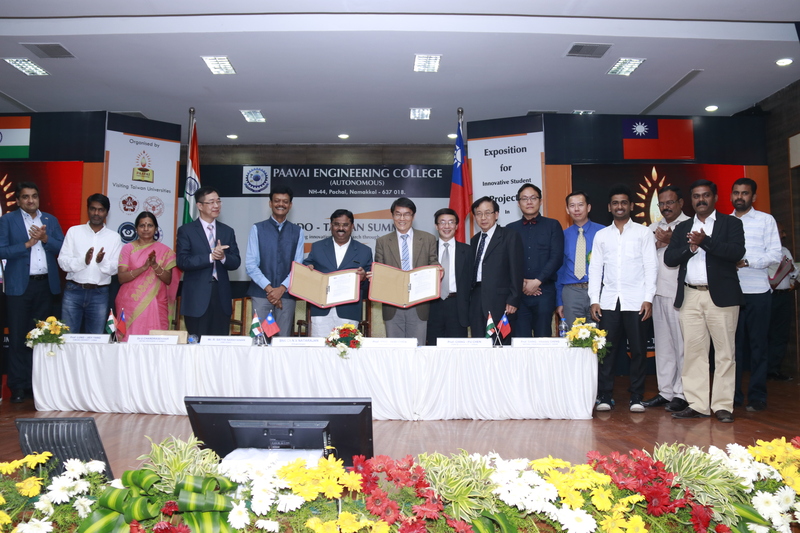 And we have solved few of real social issues and talked about our wish to take you to the list of World Achievements.” Following his speech Dr.U.Chandrasekhar and Dr.PremKumar outlined the future scope of student-exchange programme through Indo-Taiwan relations. 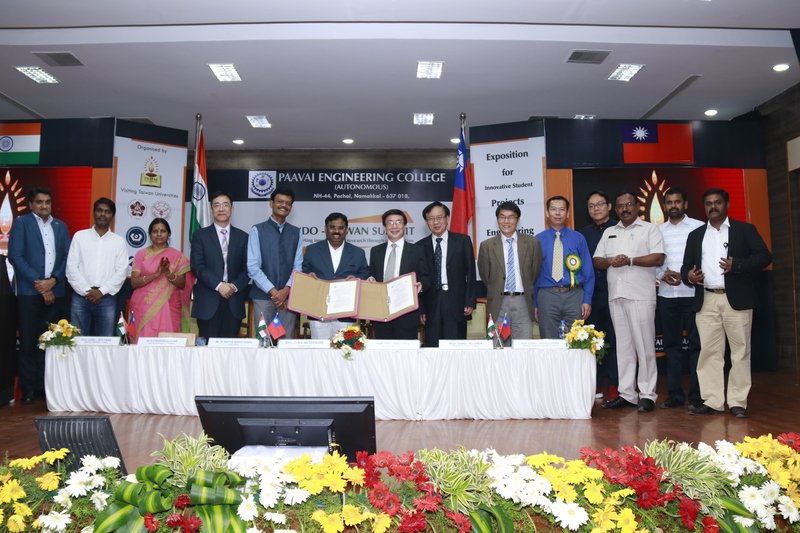 The Indo-Taiwan summit enabled both the countries to exchange MoUs in the field of knowledge transfer and skill updation. 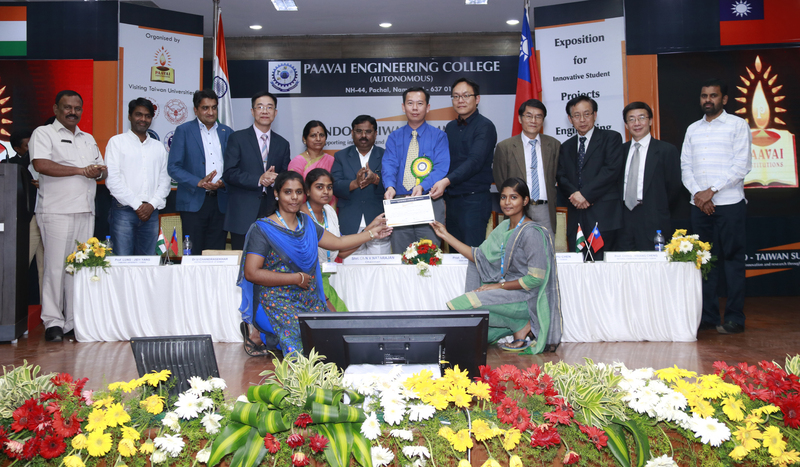 Later, the Chairman of Paavai Institutions, Shri.CA.N.V.Natarajan , along with the special guests awarded the certificates for the best 13 projects in the project expo and issued the admit card for the student Ms. Punithavalli, Electrical and Electronics Engineering, who has got 100% scholarship to pursue her M.S. degree in Yuan Ze University, Taiwan. 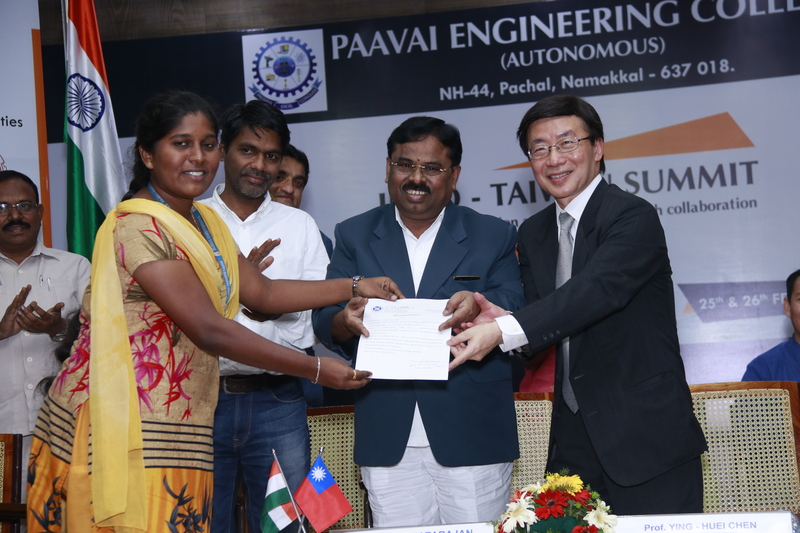 Finally, Dr. A. Suphalakshmi, HoD/CSE, Paavai Engineering College proposed the vote of thanks.Dr.K.K. Ramasamy, The Director Admin, Shri. 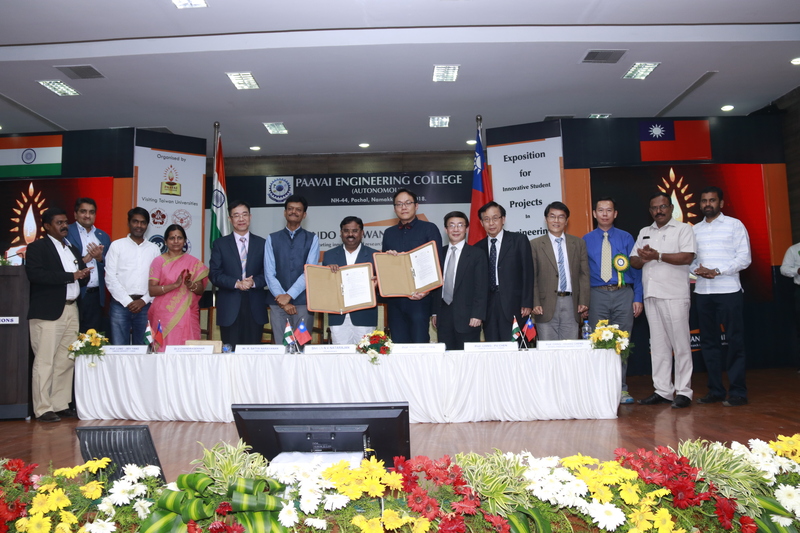 K. Senthil, The Director Admissions, Mr. S.Srinivasan, Director Placement & Training, Dr. C. Sathish, The Director , Paavai Vidhyashram, Dr. Chin Hsiang Cheng, National Cheng Kung university, Taiwan , Dr. Aaron Raymond See, Southern Taiwan University of Science and Technology, Taiwan, Dr. Ching Pu Chen, Yuan Ze University, Taiwan, Dr. 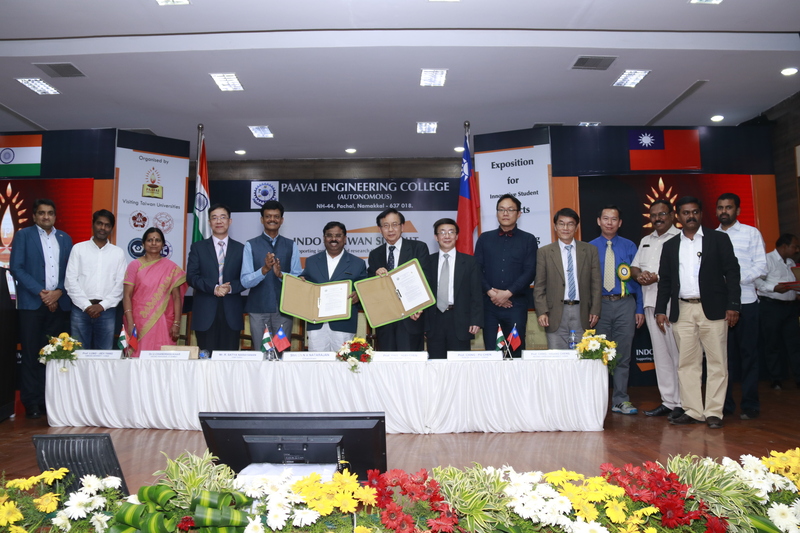 Lung Jieh Yang, Tamkong University, Taiwan, Dr. Chia Yuan Chen, National Cheng Kung University Taiwan, Dr. Harishkumar Madhyastha, University of Miyazaki, Japan, Dr. M.S. 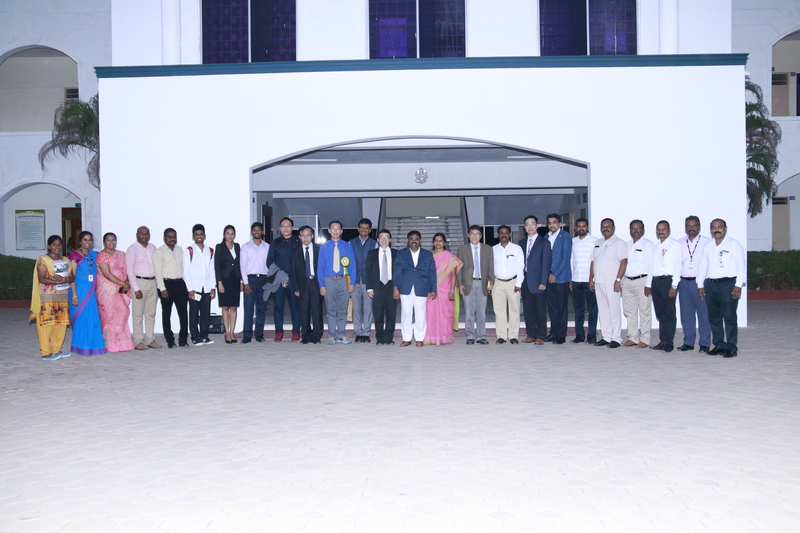 Santhosh, Jyothy Institute of Technology, India , Dr. Sumith Kumar, Maulana Abul Kalam Azad Institute of Asian Studies, India and Principals of Paavai Institutions, Deans, Heads of all departments, faculty members and students from various colleges across India were present in the session.